Want the bigger picture? You'll get it with this stunning 32" IPS monitor from EG. 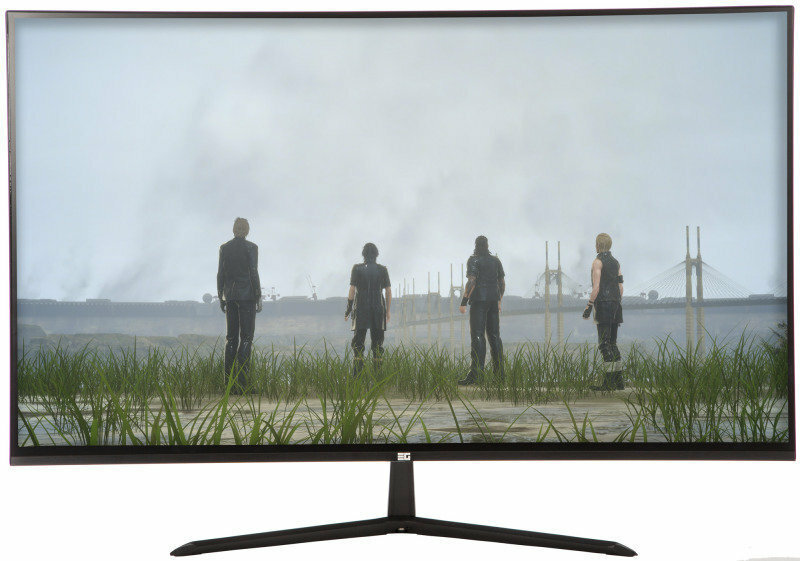 With fantastic 2K resolution this is the monitor you'll been waiting for. It's stylish and delivers vivid images with 10 bits colour depth everyone should demand. It's also unbelievable value for money. This high-spec screen will be the focal point of any room. The 32" screen is big. But EG's clever micro-edge design makes it look enormous. The ultra-thin bezels make maximum use of the 32" panel which makes the monitor look even bigger. All of which makes the already amazing images stand out even more. Screen tearing will be a thing of the past with AMD® FreeSyncTM1™ which syncs your display's framerate to your video card. If you've never had a monitor with this technology you can't imagine the difference it will make to your gaming. The IPS 2K screen will blow you away. The razor sharp images, Vivid colours add an extra dimension to any game even when viewed from extreme angles. And if you've never used a 32" IPS screen before you're in for an awesome surprise. The difference between this and a smaller monitor has to be seen to be believed. It's incredible and you'll never go back to a smaller monitor again. EG have an eye for design and they've surpassed themselves with this stylish monitor. The ultra-slim design takes up so little space and the elegant stand sets off the contemporary design. It's the perfect look for any room or den. Thanks to its slim profile the monitor hardly takes up any desk space. Add to that, the freedom of this monitor being VESA mountable to ensure your gaming experience is how you want it.